You can also post collections of them to your profile as Highlights. Last week, The Next Web reported on a bunch of new features Instagram was reportedly testing out and today, the platform is giving users two new ways to manage Stories. The first is the rumored Story archive. Now, Instagram will automatically save your Stories after their 24 hours are up and they'll exist in a separate archive section of your profile. You'll be able to rewatch Stories, add them to posts or add them to a new Story. And if you decide you don't want those Stories sticking around, you can turn off auto-archiving whenever you want. 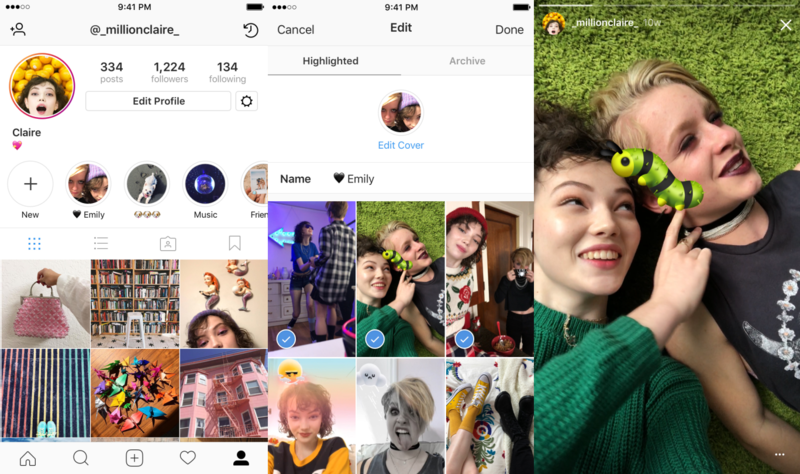 Your archived Stories can also be used in the second new addition to Instagram. Underneath the bio in your profile, there will now be a section called Stories Highlights. They're collections of previously shared Stories that will stay posted to your profile for as long as you want them there and you can have as many of them as you want. To make one, tap the "New" circle underneath your bio and select any stories you want to add from your new archive. You'll then pick a cover image and name the Highlight and then it's there for any of your followers to see at any time. To edit or delete them, just tap and hold. Both features are rolling out now.